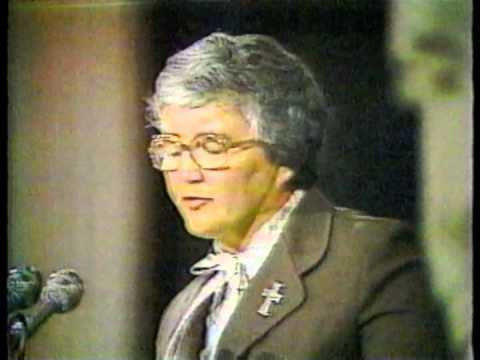 The Pope and Vatican officials responded negatively to what were then and remain now strong and clear words spoken by a woman who dared to act as an equal member in a biased church. 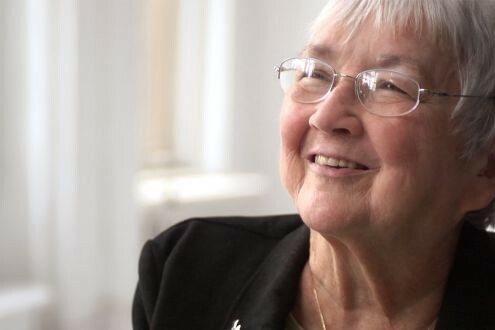 Theresa inspired many women to do the same, planting seeds of feminist ministry and encouraging robust spirituality despite subsequent decades of continued discrimination and oppression. Seizing her moment, and doing so with such dignity and grace, Theresa Kane became an embodiment of full personhood. WATER thanks and celebrates Theresa for her courage and integrity. Join us on Tuesday, October 28, 2014, 1 PM EDT, for a special WATERtalk, “Making History, Making Change: A Conversation with Theresa Kane.” We will reflect together on the historical importance of the event, the many repercussions that followed, including the current problems that American nuns and other lay people experience with the Roman Catholic Church. We will envision together what lies ahead for those who embrace a commitment to equality. REGISTER HERE! Feel free to email Cathy at waterstaff@hers.com if you have any trouble registering or need more information. Thank you!